Engine performance is typically one of the most important criteria for prospective pickup truck buyers. Gasoline engines are more common in trucks used for general purposes and light hauling, whereas diesel engines are more efficient for pulling heavy loads. Engine options for pickup trucks are continually changing, so new truck buyers need to ensure they are up-to-date on the 2017 pickup truck models. This post compares 2017 trucks from three of the largest manufacturers in the world, including Ford, GMC and Ram. 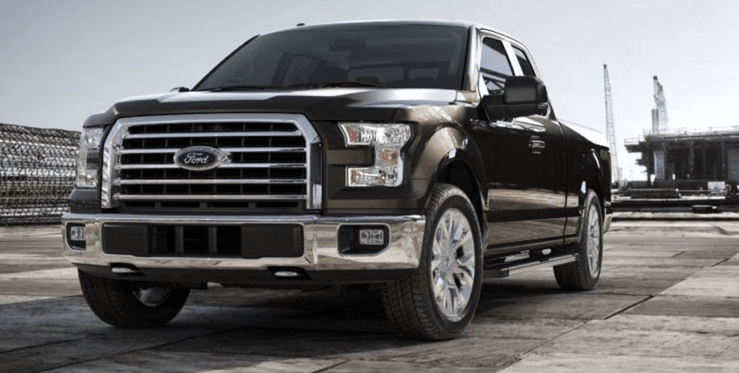 The most recent changes to Ford’s truck engine lineup occurred in the 2015 model year, when Ford added a 2.7-l EcoBoost V6 engine and a 3.5-l Ti-VCT V6 engine as a replacement for the 3.7-l Ti-VCT V6. The 6.2-l V8 engine was discontinued, but all other engine choices were carried over from 2014. Ford’s Super Duty line of heavy-duty trucks have a gross vehicle weight rating (GVWR) of at least 8,500 pounds. The 2016 model year marked the end of the third generation in this series, which has three engine options. The Boss SOHC 6.2-l V8 produces 385 hp and 405 lb·ft of torque, and the Triton SOHC V10 has 362 hp with 457 lb·ft of torque. Ford’s only diesel engine in this lineup is a 6.7-l PowerStroke V8 with 440 hp and 860 lb·ft of torque. GMC manufactures trucks under its own name and the Chevrolet brand, which are essentially the same except for the nameplate and grilles. For example, the GMC Sierra and Chevrolet Silverado series of full-size and heavy-duty pickup trucks are mechanically identical. These series are currently in their third generation, which was introduced in 2014. They received a mid-cycle refresh in 2016, which included a new grille, front fascia and headlights. The 1500 model is the light-duty version of the Sierra/Silverado. It has three engine options, including a 4.3-l GM EcoTec3 4300 V6 that produces 285 hp and 305 lb·ft of torque.The 5.3-l L83 GM EcoTec3 5300 V8 has 355 hp and 383 lb·ft of torque, while the 6.2-l L86 GM EcoTec3 6200 V8 has 420 hp and 460 lb·ft of torque. The Ram pickup is manufactured by FCA US LLC, which was formed by a merger between Fiat and Chrysler that was completed in 2014. The Ram series was sold under the Dodge brand until the Ram brand was created in 2010. The Ram truck is currently in its fourth generation, which was introduced in the 2009 model year. The 2500 and 3500 are the heavy-duty models in the Ram lineup. The 5.7-l Hemi V8 has been available since 2010, with a rating of 383 hp and 400 lb·ft of torque. The 6.4-l Hemi V8 was introduced in 2014 and has 410 hp with 429 lb·ft of torque. The diesel option for the 2500 and 3500 is a 6.7-l Cummins I6, with power and torque ratings that depend on the transmission and specific engine model. For example, this engine produces 350 hp and 660 lb·ft of torque when coupled to a 6-speed manual transmission. The 6.7-l Cummins diesel with automatic transmission was upgraded in 2016 to generate 385 hp and 900 lb·ft of torque.